Christmas Dominican style is a fabulous time. The food, the music, the parties, the beaches, the lights and the unique traditions and best of all, it is not cold! Since Christmas is such a grand and important holiday here in the Dominican Republic it deserves a page all its own. It is such a large celebration that it starts in October and ends in January. With its exhilarating parties, spectacular fireworks, relaxing family time and fantastic food, there is just too much good information for a small section. 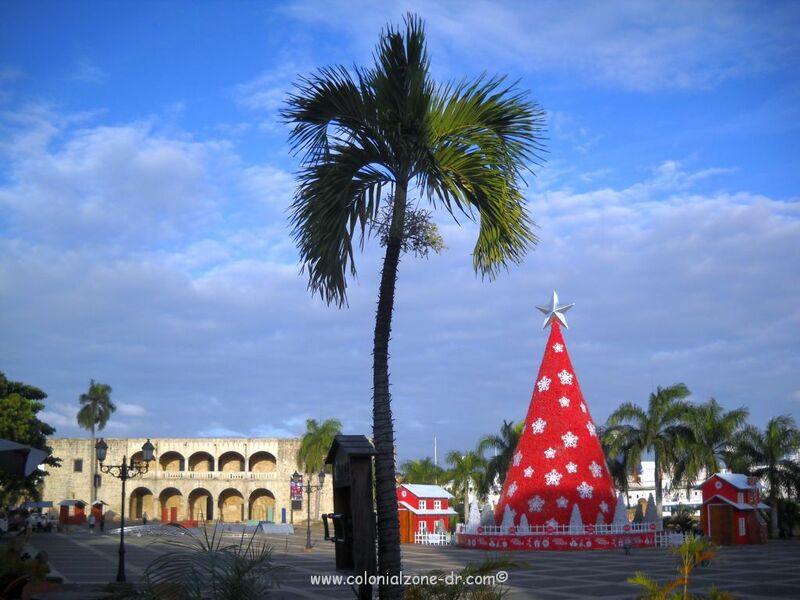 Christmas in Dominican Republic lasts for about 3 months, more or less. It is a time to get together with friends and family and enjoy. Although here everyone seems to have a great time always, Christmas is even more of a delight. 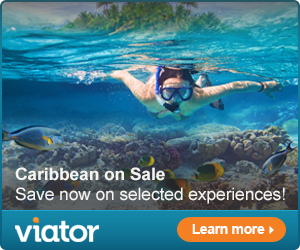 The airlines are booked solid with people returning to their roots to celebrate in the place they call home. There is such an excitement felt in the streets throughout the country. The passion culminates with the fireworks that seem to happen more often the closer the holiday gets. Trying to do business during this time is not easy, peoples minds are not on accomplishing anything. All that seems to be on the mind is having fun and relishing the company of others. Indulging ones self with all the traditional foods that one does not get throughout the year is much anticipated. The aromas of food whiffs out into the streets from kitchens where people are preparing their specialties. There are parties, both private and community gatherings everywhere. The festive spirit is in abundance. On the faces of people, the lights and decorations, the festive feelings, the fireworks and the food. Christmas Eve Fireworks over the Colonial Zone. Fuegos artificiales/ Fireworks are a momentous tradition here in Dominican Republic. 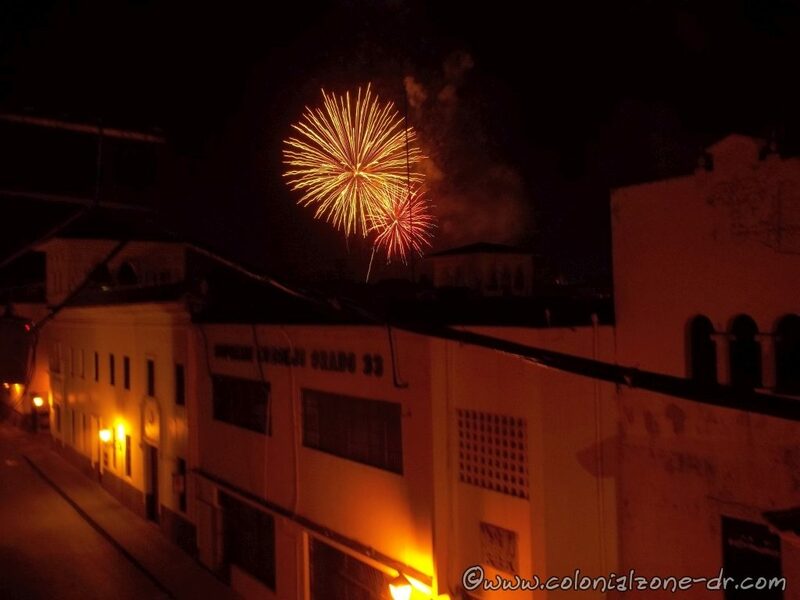 Children and adults love shooting off cohetes y petardos/ rockets and firecrackers of all types. Hospitals are especially busy mending burnt and mangled fingers of people that get a bit carried away with the fireworks. There are stands all over the country selling these festive and dangerous toys to light the sky or to make a big bang. In this way the season is celebrated with a bang! Most businesses will close around 6 PM on Christmas Eve and some will not open at all on this day. This gives families time to get together for the big celebration of food and drink. In most tourist areas businesses are open, but I wouldn’t count on it. It’s best to have what you need before this day just to be on the safe side. The main celebration happens on Noche Buena/ Christmas Eve (December 24th). This is when the big family dinners are held. People really do some substantial celebrating. 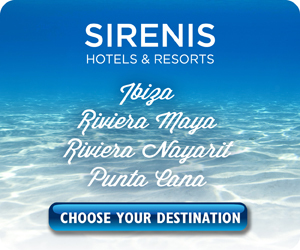 Most people return to their home towns in order to enjoy the holiday with family and friends. Not to mention, most Dominicans love their mothers or aunts cooking so the must return home to enjoy the feast that is prepared. This family gathering is the center of the holiday festivity. December 25th, Christmas Day, is the day to recuperate. As a traditional token of Christmas cheer, most employees receive an extra months pay in December, and so have a little extra cash on hand. This is called Double Sueldo, a Christmas bonus Dominican style. It is about the same as a months pay and helps to make Christmas holidays a more lighthearted time. 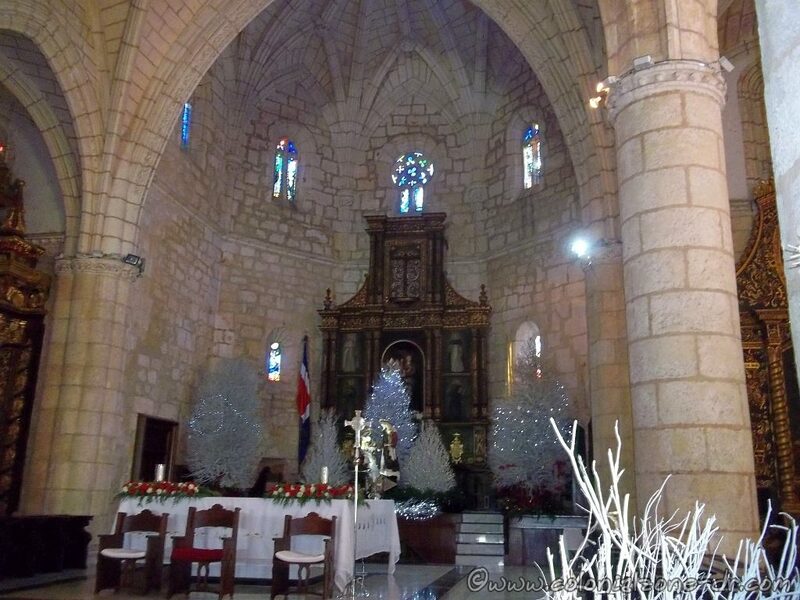 Christmas / Navidad decorations at the Catedral Santo Domingo. Religious people usually go to church for the Christmas Eve service. This service called La Misa del Gall. It is a Midnight Mass traditional type service. There is also a mass on Christmas Day usually held at 12 noon for those who didn’t make it to the Midnight mass or for those that like to go to both. This way one can get a little rest in between. 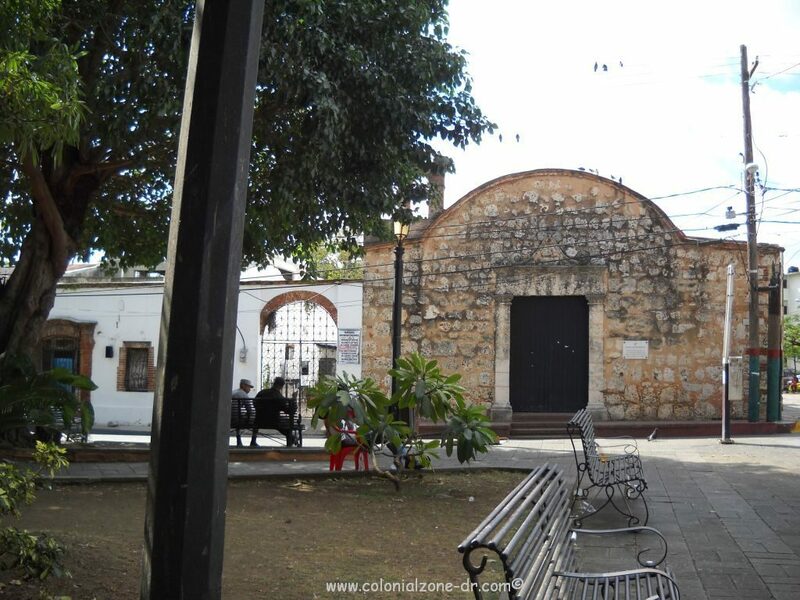 If you are in Santo Domingo in Dominican Republic during the holidays try and make it to the service in the First Church in the Americas, Cathedral de Santa Maria in Colonial Zone. This is service is one of the largest and most elaborate in the whole country. Make sure to get there very early or you will be observing from the outside, which is fine also. A tradition for gift exchange is called Un Angelito/ A Little Angel. All the social classes practice this. All the names of the participants are placed in a sack. Then a name is selected from the bunch. The person whose name you chose is your Angelito. Every week during the Christmas holiday you are to give that person, whose name you chose, a gift. The identity of your Angelito is to be kept secret until the last day of the gift exchange where you must divulge yourself. Patronales/ Patron Saints. 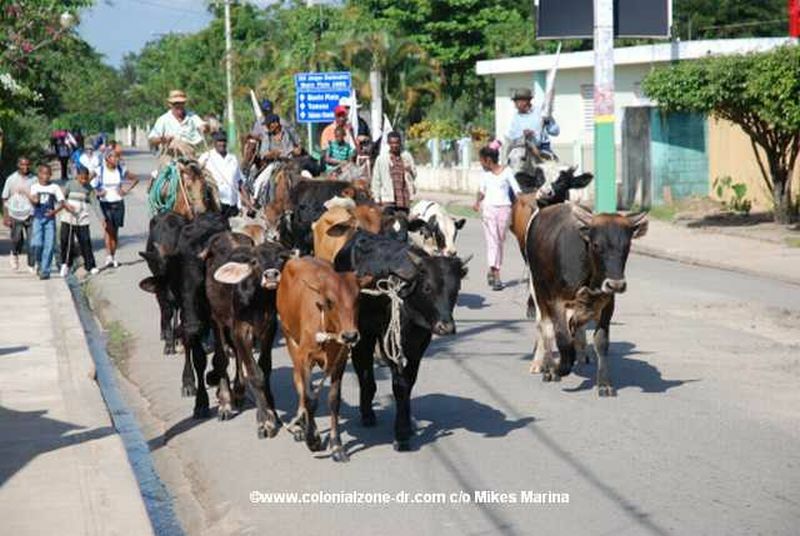 Every town and village in Dominican Republic has it’s own patron saint. Each town has a celebration for their saint. These celebrations usually cover an entire weekend or more with a party, music and just getting together of the inhabitants of the town in the local park or gathering area. It is a time of sharing with the neighbors and another excuse for having a party. Not that Dominicans need an excuse to have a party or a good time. Here is a list of Patron Saints and different celebrations and what town celebrates that saint. The dates are a general reference and can change year to year depending on the dates the government sets. Try to visit a town during their celebrations. You will be so happy you did, even if you are not Catholic. 2 Virgen de la Candelaria patron saint of San Carlos, in Santo Domingo and Sabana Grande de Boyá. 16 San Elías Barón del Cementerio/ The Barron of the Cemetery. 19 San José this saint is celebrated in the towns of Restauración in Dajabón, Río Grande in Puerto Plata, Villa Vásquez in Prov. Montecristi, San José de las Matas in Prov. 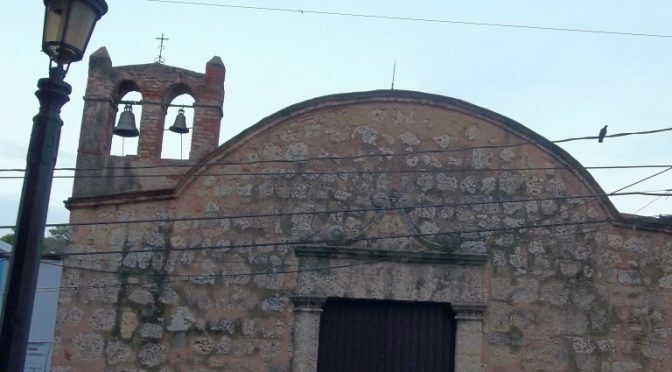 Dajabón, Yamasá in Prov. Monte Plata, El Valle in Sabana de la Mar. 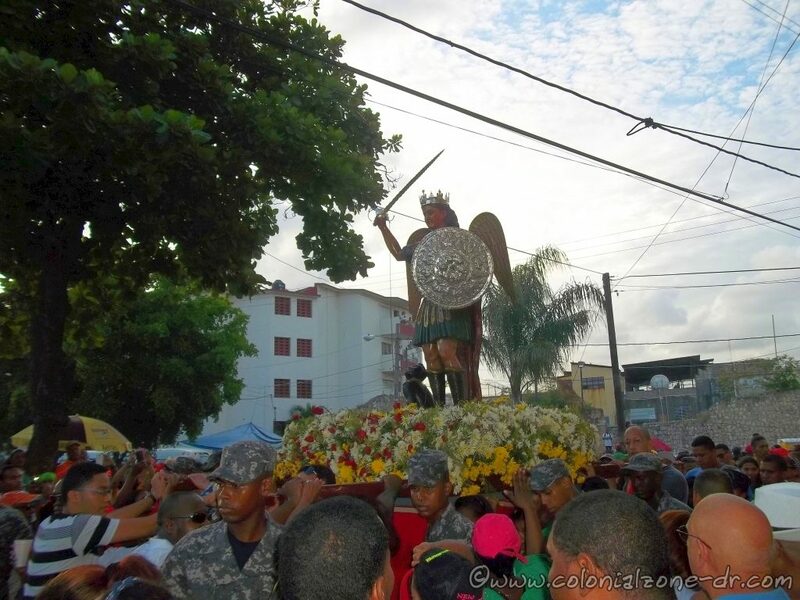 In Azua this patron saint is celebrated with carnival like festivities. 3 San Felipe Apostol patron saint of Puerto Plata. 13 Nuestra Señora de Fátima celebrated in Villa Sinda in Prov. Montecristi, Galván in Prov. Bahoruco, Arenoso in Prov. Duarte and Hondo Valle in Prov. 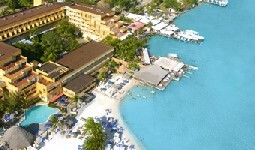 Samaná. 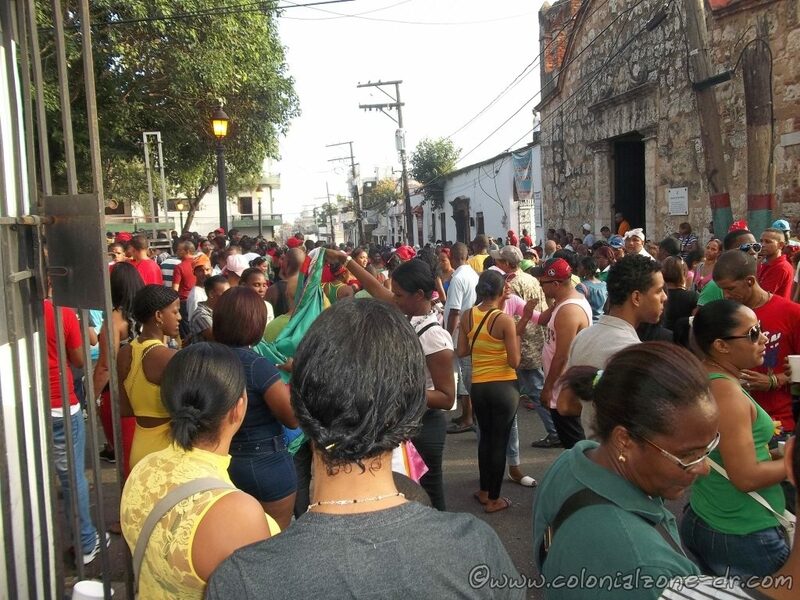 15 San Isidro el Labrador celebrated in Castillo in Prov. Duarte, Luperón in Puerto Plata, Las Caobas in Santiago Rodríguez, CLavelLina y Uvilla in Prov. 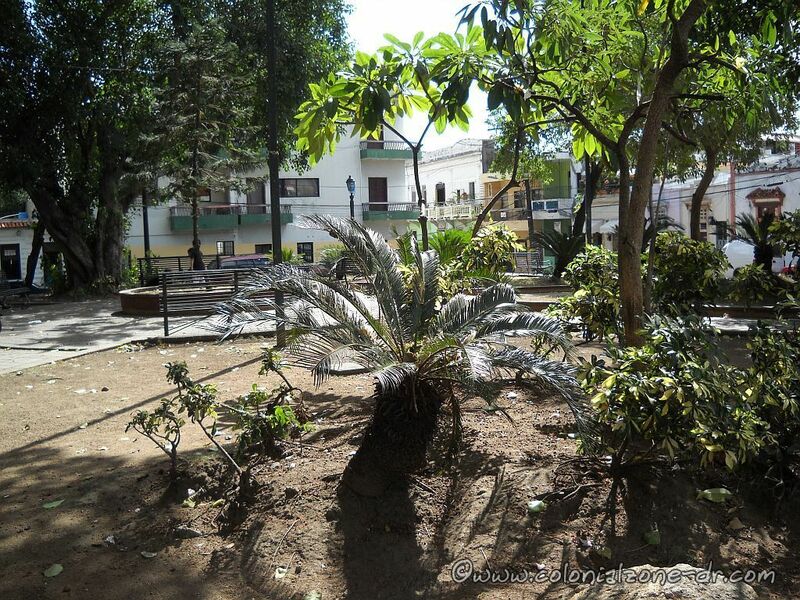 Bahoruco, EL Llano in Elías Piña, Santé y La Enea in Prov. La Altagracia. 30 San Fernando Rey patron saint of Montecristi. 11 San Bernabé patron saint of Villa Mella. 29 San Pedro y San Pablo patron saint of San Pedro de Macorís; Las Salinas in Prov. Barahona, El Cercado in Prov. 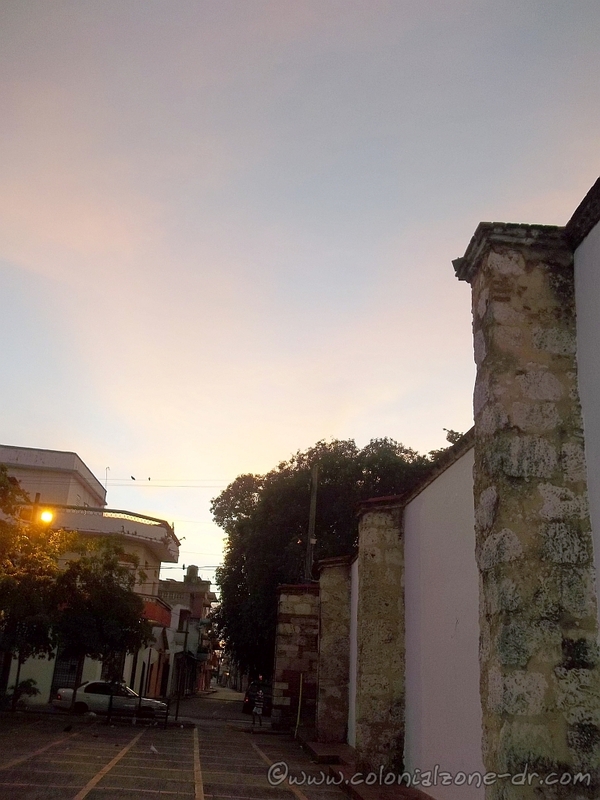 San Juan de la Maguana, Fundación de Peravia in Prov.Peravia. 24 Nuestra Señora de las Mercedes/Las Mercedes is patroness of the firefighters and the Patron Saint of the Dominican People. More information, picture and video of Mercedes and the celebration. 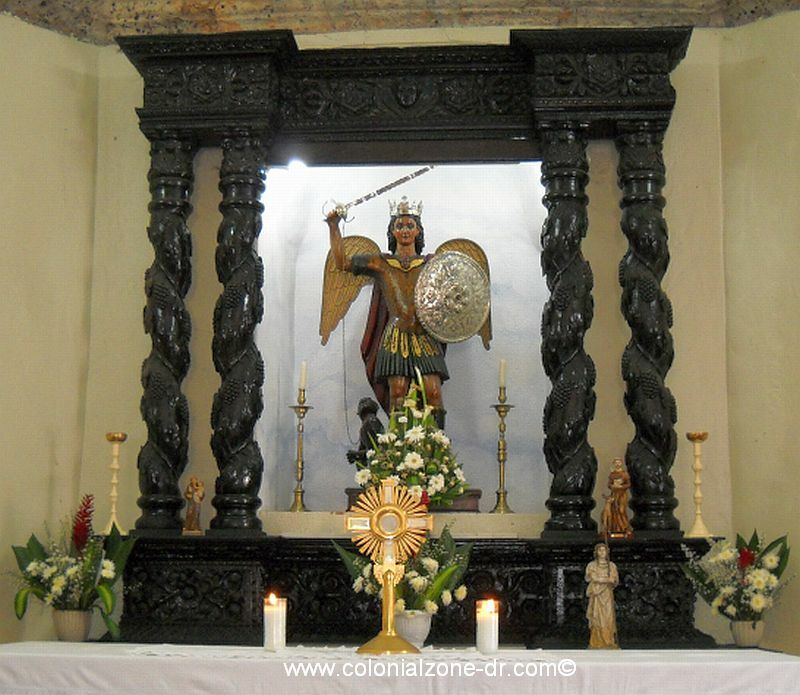 29 San Miguel Arcángel / St. Michael, the Archangel is the patron saint of the Dominican armed forces. He is the Captain of the Celestial Legions. Combating the devil he leads the forces of heaven in their triumph over the powers of hell. 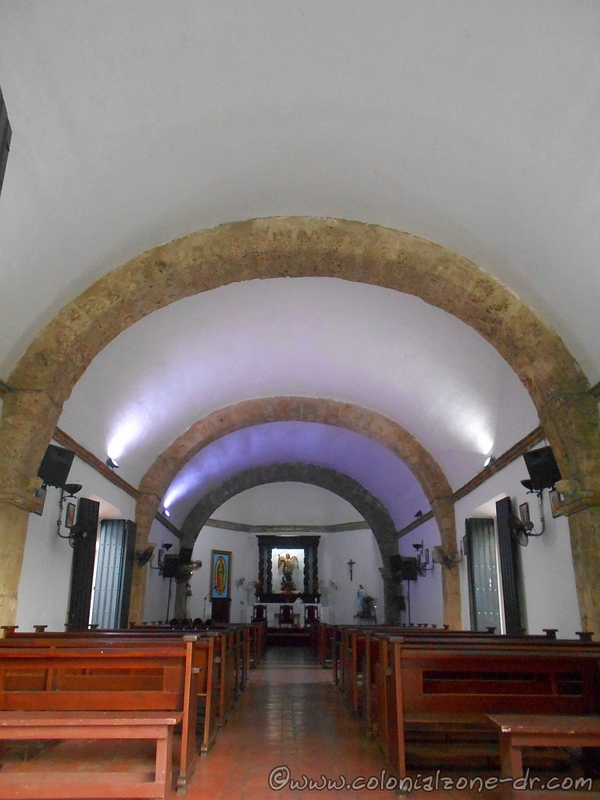 Celebrated in the Santo Domingo town of San Miguel at the Iglesia San Miguel. 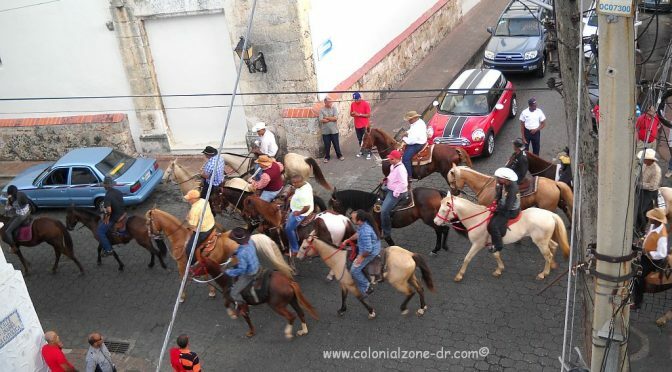 History of the important Festival San Miguel. 12 Nuestra Señora del Pilar patron saint of Sabana de la Mar and Cevicos. 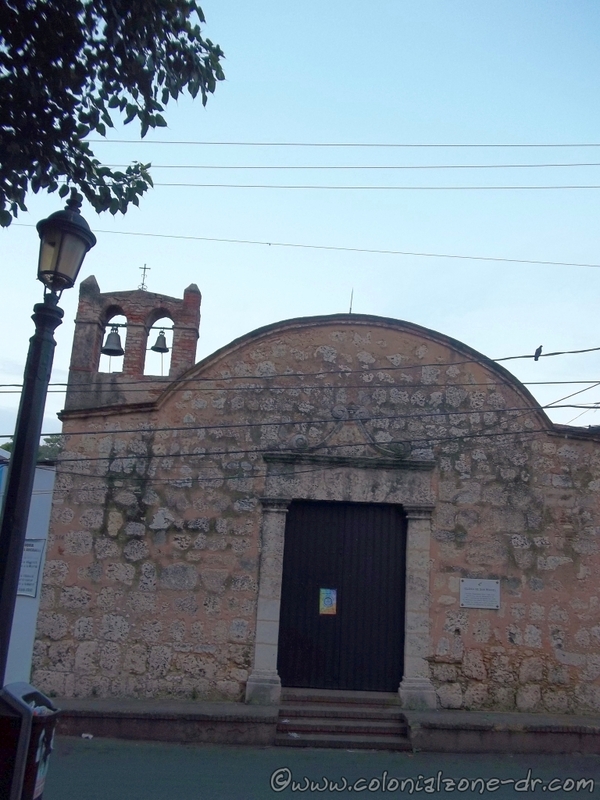 14 Santa Rosa de Jesús patron saint of Elías Piña. To see a map with all the Dominican Republic Provinces (Prov.) listed.